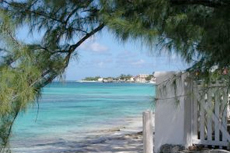 See historic 18th and 19th-century style buildings that mirror the Bermudan-style architecture of the salt-raking era on a city tour in Grand Turk. You may even see a horse or donkey roaming the narrow alleys. We did the top 10, with only 3 stops. Not much going on in Grand Turk, but city tour was informative and interesting. We took a two hour open-air bus tour of the island. We took a two hour open-air bus tour of the island. It was nice, but there just isn&apos;t much to see. Storm damage was severe and the island is still recovering. In Grand Turk we just got off the boat and took the trolley tour around part of the island. The tour was just ok. Stopped at an interesting museum that had a shipwreck exhibit. It rained. The open air bus did not have drop down canvas to protect us from the rain. Nevermind, it was hot and the rain was a welcome respite. Tour itself was boring. Island was very dirty. Rubbish everywhere. We into Porta Playa. Guide was pretty good but not take us where we wanted to go, he gave us his own tour. Amazing tour of the city. We did an Island tour of Grand Turk, Interesting to see the Island but really not much there besides the beach! If you book make sure your on an open air tram. Was not worth the $30.00 per person we paid. Was not worth the $30.00 per person we paid. The bus was overcrowded and there was not much to see anyway. Small island, great information, loved the donkeys and the Lighthouse. Small island, great information, loved the donkeys and the Lighthouse. Enjoyed Margaritiville, swimming, lots of drunk college springbreakers, loud music, but still fun. Enjoyed it, but it showed up late and departed late. Enjoyed it, but it showed up late and departed late. Would skip it the next time and do something else. Gave a great drive around the island, with stops at the lighthouse and the main shopping area. Gave a great drive around the island, with stops at the lighthouse and the main shopping area. Beautiful island with friendly people. Grand Turk is a dry island with little salt ponds everywhere. Grand Turk is a dry island with little salt ponds everywhere. There is no grass or flowers but the ocean is beautiful. Donkeys walk around aimlessly and come up to you for food. Skip the downtown area; looks like a third world country.